When you were a child, did you dream about what you wanted to be when you grew up? What did you imagine being; a fireman, ballerina, or astronaut? I wanted to be an Egyptologist. My Plan A encountered one teeny, tiny hiccup. I live in New Zealand. Which is like the farthest away from Egypt you can get, unless you live on the Moon colony. I left school and followed Plan B at university, by enrolling in Accountancy. Then I made a discovery, my university had a fantastic ancient history department and guess what you could study? Egyptology. This left me in a conundrum, since I was being sponsored through my studies by our tax department. They wanted an accountant, not a wannabe Indiana Jones, even if she is ambidextrous with a bullwhip. Time for Plan C – I crammed as many ancient history papers as possible into my commerce degree and graduated as the only accountant who could read eighteenth dynasty hieroglyphics. Fast forward a few years and circumstances in my life dictated a career change. I took up writing more seriously, finished a few projects, shoved them in a drawer and then looked for my next story idea. 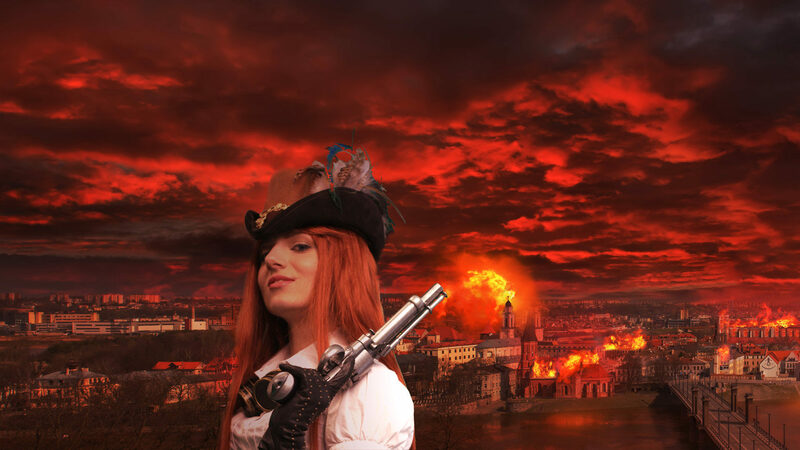 As someone who wears corsets, admires kick arse heroines, and loves to tinker with history, writing steampunk is my brain’s happy place. To me, steampunk is the mental equivalent of throwing a toddler in the ball pit and yelling playtime. I wandered my bookshelves, hoping to spark an idea. My finger brushed the spine of my Hieroglyphic dictionary and passed over the Egyptology text books. I didn’t want to write a book about Egypt, but I wanted to bring a tiny piece of that ancient history to life. I paused over a book about the life of Nefertiti. Most people have seen the iconic image of the bust of Nefertiti, now in resident in the Neues Museum, Berlin. What better place to start than with that famous beauty? I let my mind wander through the lives of Nefertiti and Akhenaten, trying to figure out how to let their story filter down through over three thousand years. I imagined a love so strong between them that when the embalmers cut open her chest, they found a diamond instead of Nefertiti’s heart. I embellished the diamond, gave it mechanical workings and created a mechanism waiting, poised to begin pumping. 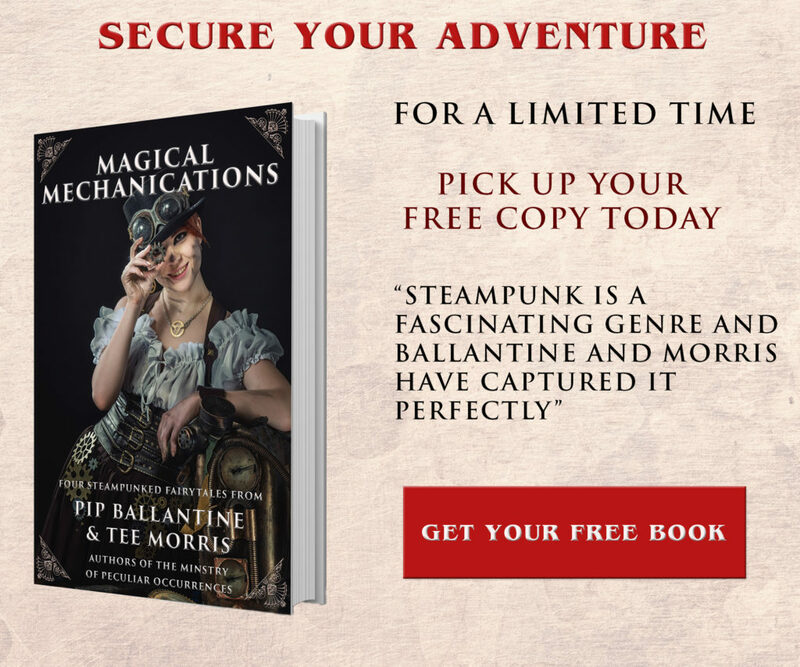 Now I had to set that strange heart loose in a steampunk world. Who would pursue the gem? Above my Egyptian books is a shelf dedicated to true crime and serial killers. I saw a man hunting for the ancient artifact. However, like many serial killers, his course became distorted and twisted in his mind. He searches for love in all the wrong places – like the chest cavity of young women. Anita Exley is a writer living in rural New Zealand, surrounded by horses and homicidal chickens (the sort that know they are closely related to velociraptors). She is a bona fide corset wearing, sidesaddle riding freak. Which probably explains the fascination for historical novels. Anita loves to blend steampunk adventures with an Egyptian twist. 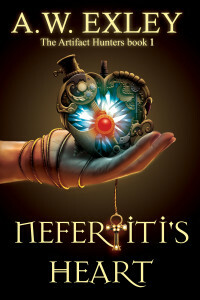 Look for The Artifact Hunters series, book 1 Nefertiti’s Heart and book 2 Hatshepsut’s Collar are available now. 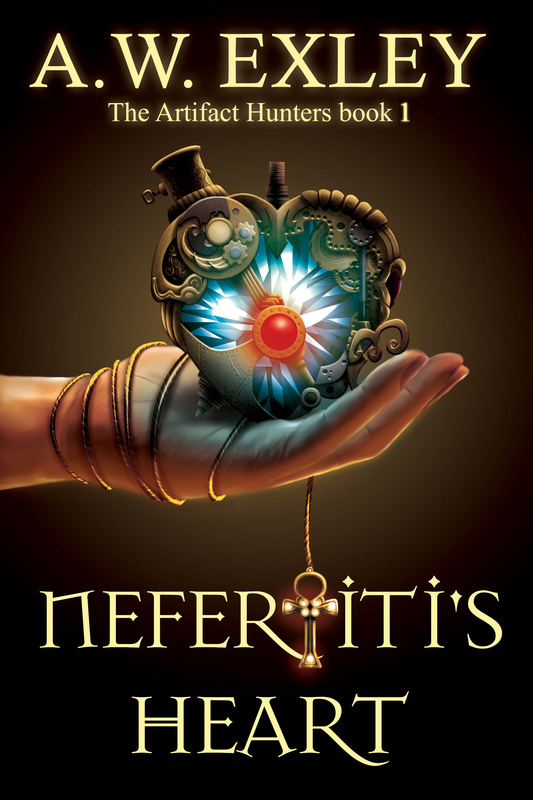 Book 3 Nero’s Fiddle will be coming late 2014.